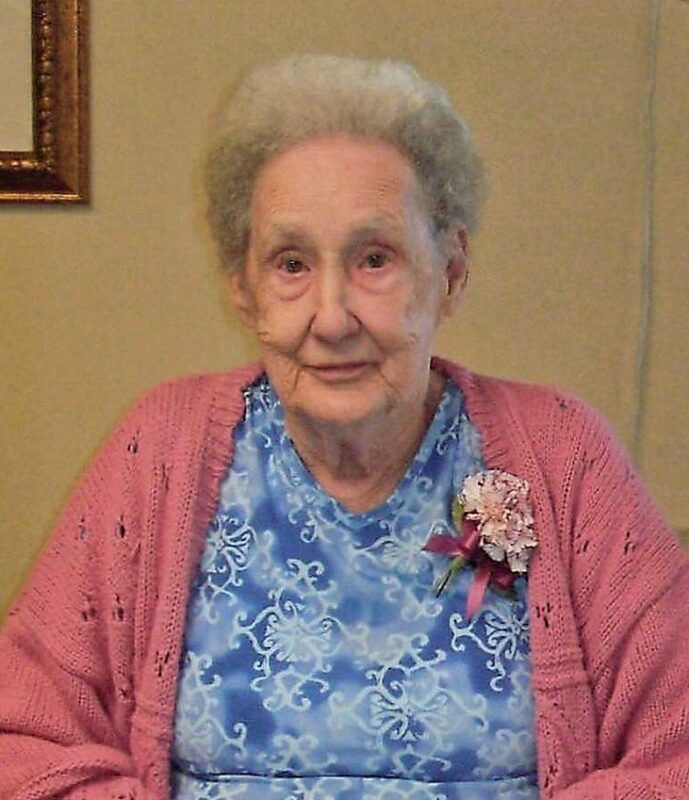 SAGOLA — Bernice L. Miller, 94, of Sagola, passed away on Sunday, Aug. 5, 2018, at Maryhill Manor Nursing Home in Niagara, Wis.
She was born March 30, 1924, in Daggett, daughter of the late Gilbert and Augusta (Plutchak) Carrier. Bernice married Martin Miller on Oct. 24, 1942, in Menominee. He preceded her in death on Jan. 14, 1983. Bernice was a master gardener and canned vegetables for many years. She loved arts and crafts, doing puzzles, and playing cards, especially 500 rummy. Bernice was a loving and caring wife, mother and grandmother who always put her family first and enjoyed every minute she spent with them. She is survived by six children, Ray (Ellen) Miller of Niagara, Betty (Bob) Nichols of Iron Mountain, Beverly Miller of Waukesha, Wis., Jim (Lori) Miller of Sagola, Connie (Richard) Fredy of Pueblo West, Colo., and Barbara (Steve) Young of Hartsville, S.C.; a sister-in-law, Peggi Carrier of Daggett; numerous grandchildren, great-grandchildren and great-great-grandchildren; and several nieces and nephews. In addition to her parents and her husband, Bernice was preceded in death by three brothers, Rudolph, Gilbert and Raymond Carrier; and a sister, Rose Miller. Visitation will be noon to 1:30 p.m. Friday at the Erickson-Rochon & Nash Funeral Home in Iron Mountain. Funeral services will follow at 1:30 p.m. at the funeral home. Pastor Stephen Lehmann will officiate. Burial will be in Dickinson County Memorial Gardens Cemetery. Condolences may be expressed to the family of Bernice Miller online at www.ernashfuneralhomes.com.